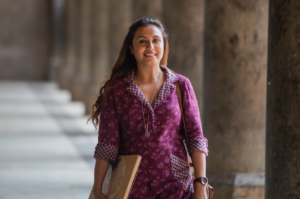 Hichki starring Rani Mukerji sees the acclaimed actress play the character of Naina Mathur who has a nervous system disorder, Tourette syndrome that forces an individual to make involuntary repetitive movements or sounds. The inspiring movie focuses on turning disadvantages into opportunities and staring down at challenges that life throws at one and ultimately winning over them. It is also a subtle reminder about discrimination that exists in our society and has become a part of our daily lives. It highlights this through the story of Naina, who faces discrimination from our society that firmly believes she cannot be a teacher because of her disorder. Hichki, a feel-good entertaining film, is set to touch the hearts of audiences when it releases on 23rd February 2018.